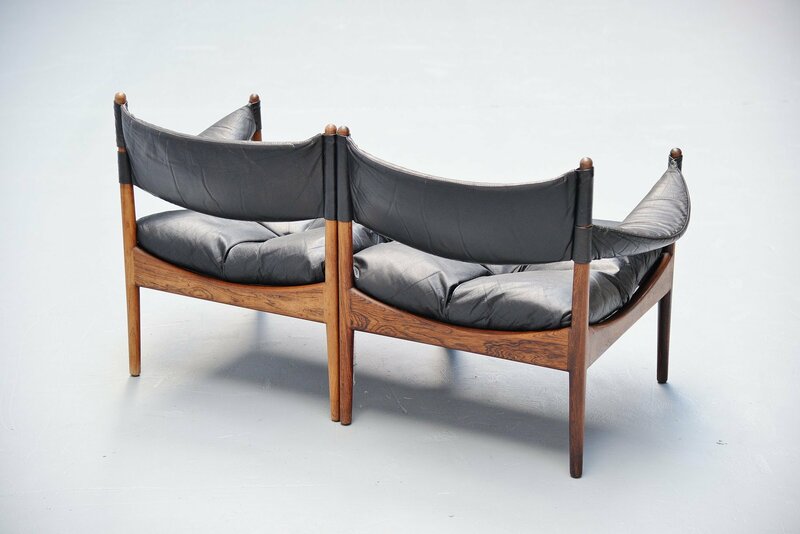 Very small modular 2 seater sofa from the Modus series designed by Kristian Solmer Vedel and manufactured by Soren Willadsen, Denmark 1963. 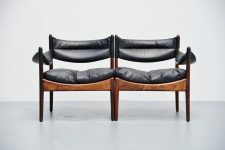 These elements have solid rosewood frames and black leather upholstery. 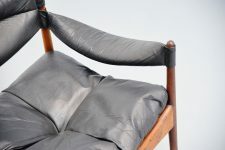 The chairs are in very good original condition with a nice patina from age and usage. 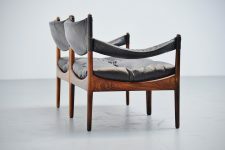 The chairs look nice in a set of 2 but can also be used seperately ofcourse. 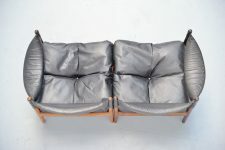 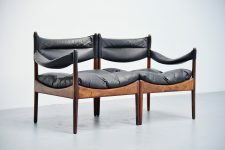 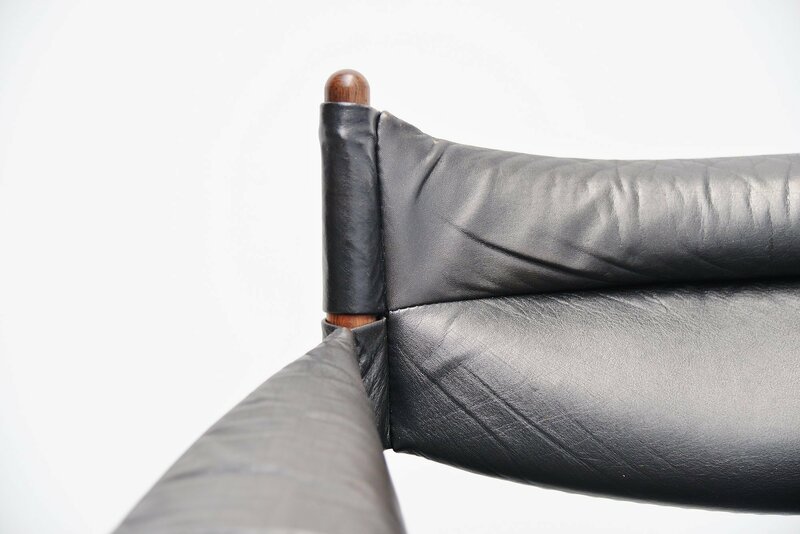 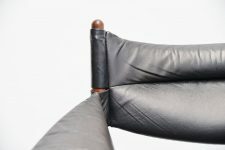 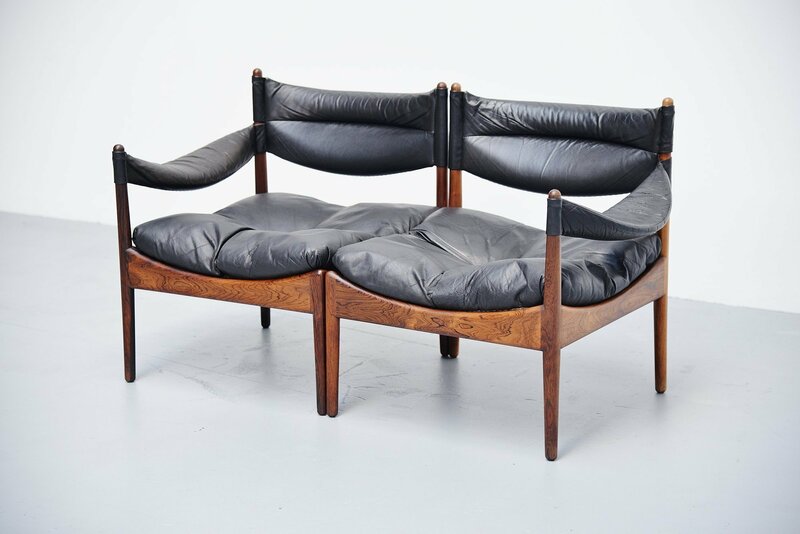 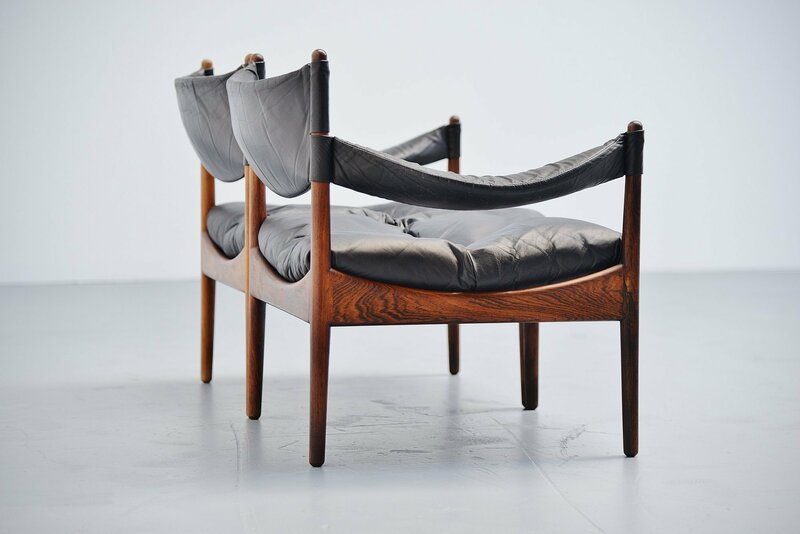 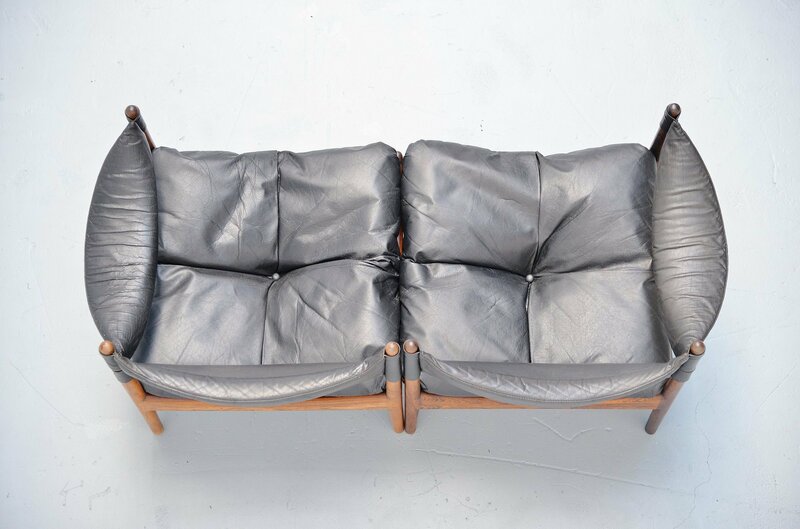 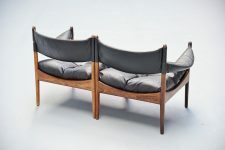 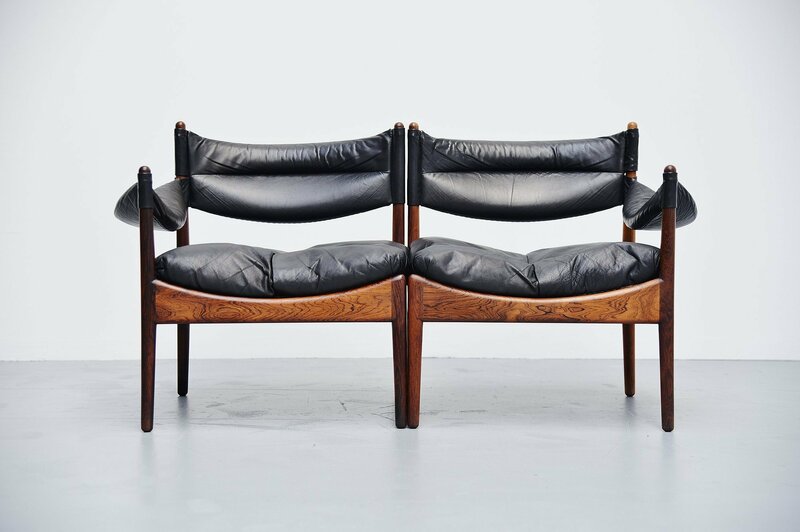 Typical Danish shaped low lounge chairs with nice lining and crafted into perfection.